Try the free SEO Checker! With 1&1 IONOS's SEO Checker, it's easy to test the SEO rank of your website on search engines. In just a few clicks, you can perform a comprehensive SEO test online to assess whether your site meets the requirements of search engines such as Google and Bing. In doing so, you receive the vital data you need to proceed with the optimization process. What does the 1&1 IONOS SEO Checker test? The SEO test is very simple to use: simply enter your web address into our SEO site checkup tool and it will begin analyzing various aspects of your site automatically. The first use of the SEO analyzer is free. Thereafter, you can receive a second, more detailed SEO audit checklist for a small fee. Why should I use the 1&1 IONOS SEO Checker? With an SEO analysis report from 1&1 IONOS, you get quick and easy access to all the important facts relating to your website's visibility on search engines like Google and Bing. Ranking highly on search engine results pages (SERPs) is crucial to the success of your website. Since it focuses on achieving higher rankings organically, rather than paying for advertising, search engine optimization has become one of the most important disciplines in modern online marketing. Our site SEO ranking checker immediately shows you where your website is placed, and reveals areas that require further optimization. After receiving your sites SEO analysis, you will be well-placed to make all the adjustments necessary for your website to climb the search engine rankings and be more easily found by your target audience. What is the focus of the 1&1 IONOS SEO Tool? The 1&1 IONOS SEO analyzer provides a detailed SEO checkup of your website's visibility and reveals optimization potential related to all important SEO disciplines. This includes onpage optimization methods, for example, through which you can build a search engine-friendly site. Similarly, offpage optimization measures are also considered in the SEO test by analyzing links from other websites. You will also receive information on social media marketing from an SEO perspective, and data on user-friendly display formats, such as responsive web design. 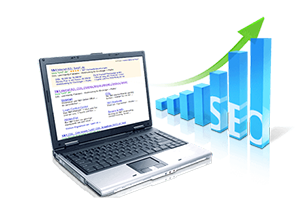 Your website will be thoroughly tested in these areas, as well as further criteria, by our site SEO Checker, offering you a comprehensive foundation for your optimization endeavors. With the first, free SEO data analysis you receive the fundamental information you need for your search engine optimization. More information is available to you for a fee, including a detailed breakdown of which specific areas of your site require further optimization. What is a good onpage result? The onpage result of our SEO test tool shows you broken links, the amount of headings in need of improvement, as well as page title and description tags that need to be optimized. Accordingly, a good onpage result would show correctly selected headings, and page title and description tags that are neither too long, too short, nor duplicated. Furthermore, the site SEO check also highlights faulty links. The following sections explain what these individual aspects are and what you have to consider in more detail. The word "link" is short for the technical IT term, "hyperlink", which are code elements used to allow navigation to another webpage. Links are a core component of the internet, since they connect individual websites together, allowing users to navigate easily across the net. There are two types of link: internal links navigate within the same website, while external links (also known as backlinks) link from one site to another. Backlinks are especially significant for offpage SEO because search engines treat them as recommendations from one site to another. On the other hand, internal SEO links are an important factor for onpage optimization: they facilitate a user-friendly website structure, which also allows web crawlers (also known as spiders) to assess the SEO value of a site. The idea is that the easier it is for a crawler to follow an internal SEO link structure, the easier it is for a human user to navigate the website. The 1&1 IONOS SEO link checker reliably evaluates the link profile of your website, giving you concrete data. In the onpage results, you will see an overview of all the broken links on your site. On this basis, you can strengthen and optimize your internal linking structure with SEO link building. The page title, or "meta title", is an important HTML tag that appears at the start of an HTML document, even before other metadata. This SEO title tag is particularly important for search engine crawlers, since they are shown as headings in SERPs. Their length, calculated in pixels rather than characters, is crucial to ensuring the title is displayed in full. Exceeding the pixel limit is undesirable, since the end of the SEO title is cut off and replaced with an ellipsis ("…"). Strong page titles mostly contain the brand name and a relevant keyword. Our SEO analyzer helps you to optimize your title tags; the onpage results include an SEO title check showing which ones are search engine-friendly and which ones need optimizing. Page descriptions, or "meta descriptions", are also covered by our SEO Checker. You receive important information regarding the optimization of these meta tags. They are displayed below the page title on SERPS and serve to summarize the content of the page briefly and informatively. This makes meta description tags significant both for good SEO and encouraging user clicks. They should always be unique and contain no more than 160 characters, so as not to be trimmed by the search engine, but can include special characters to attract the interest of readers. Including the brand name and discreetly placed keywords in the meta description is useful for SEO, since they are highlighted in SERPs and also help to orient web users. Our SEO Checker tool performs meta description analysis to show you, for example, how many pages on your website have duplicate descriptions, or no description whatsoever. Furthermore, guidance is given on the correct meta description length. Heading, header or h tags are HTML elements used on a webpage, which are also highly important for search engine rankings. They are distinguished in order of descending importance, from the main SEO title h1, to subheadings h2 to h6. Heading tags essentially enable the naming and structuring of different sections of content. For SEO, h1 tags at the start of HTML documents are most important because they contain keywords that immediately show both users and crawlers what the content is about. When they are clearly written and contain highly relevant keywords, heading tags serve as positive SEO signals. They ought to be as short, succinct and informative as possible. From 1&1 IONOS's SEO site checkup, you can find out how your h tags fare from a search engine perspective, and where there is room for improvement. What is a good offpage result? A good offpage result is achieved by increasing both the number and quality of your backlinks. If the SEO backlink checker shows many different external links, this is a good sign, as it shows that your website has been linked from several other sites. Ideally, this will improve your ranking because search engines treat backlinks as recommendations. A high number of external links from relevant and authoritative sites also has a significant impact in this regard, as does the quality of the sites. Natural SEO backlinks - that is, meaningful and honestly integrated links - are therefore one of the most decisive aspects of offpage SEO. The quality of the link environment and the reputation of the backlink's source website are also important ranking factors. In order to test the quality and relevance of these external pages, the offpage results of your SEO analysis report will display an overview with a selection of pages that have linked to you. During your optimization efforts, note that attaining links should be a steady and continuous process. An unnaturally fast acquisition of SEO backlinks is likely to be penalized by search engines, so be sure to follow sustainable link building methods. Is there a difference between desktop, smartphone, and tablet display formats? Yes. A website that has not been optimized for mobile devices may look great on a desktop computer, but it will be poorly displayed and difficult to operate on the smaller screens of smartphones and tablets. The 1&1 IONOS SEO Checker therefore also checks if the display format of your website is optimized to modern standards, as well as other ranking factors such as the site loading time. This focuses on whether it is optimized for mobile devices: websites with a so-called "responsive design" are rated highly by search engines like Google because they improve user experience. These SEO and mobile-friendly responsive pages adapt optimally to any screen size, ensuring a consistently high level of user experience. In our Digital Guide, you can discover more about SEO for mobile. This is crucial for the success of your web project because web browsing via smartphones and tablets is fast overtaking desktop computers; for the sake of both usability and SEO, responsive design is therefore key. Furthermore, the 1&1 IONOS SEO Checker provides you with concrete data on your website's loading time. Ensuring your site loads quickly is highly important, especially for mobile devices, otherwise your visitors are likely to lose patience and leave.